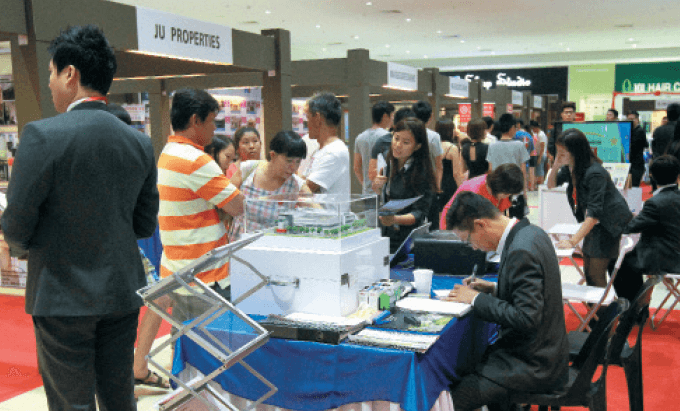 PROPERTY buyers in Johor are turning to the secondary market as the price difference between the primary and secondary markets widen, say real estate agents and negotiators. 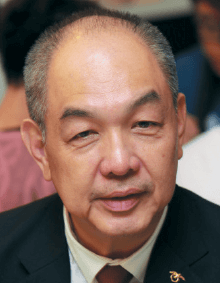 The Malaysian Institute of Estate Agents (MIEA) Johor branch chairman Liew Toh Sen estimates that the difference in price between sub-sale properties and new-builds is as much as 20%, due to rising construction and labour costs faced by property developers. “With the high cost of material, labourers and land, besides more innovative designs with more furnishings and fittings, definitely the cost cannot be cheap. For those who want to buy an affordable home, they have to go for secondary [market] properties in the mature market,” he tells City & Country. According to him, landed homes priced from RM300,000 to RM600,000 are highly sought after, especially by first-time buyers, and demand for them continues to grow. Liew, who is also the principal of estate agency Mabest Properties Sdn Bhd, notes that buyers are more likely to find 1-storey and 2-storey houses within this price range in areas such as Senai, Pasir Gudang, Kota Masai and Puteri Wangsa, which are about 20km from Johor Baru’s central business district. “New products by developers can go as high as RM1 million [given the design, workmanship and materials]. But it is not affordable for first-home purchasers,” he explains. He was speaking on the sidelines of the Malaysian Secondary Property Exhibition (Maspex) in Johor Baru, an annual event organised by MIEA to promote secondary market properties in attractive locations to owner-occupiers and investors. Over 6,000 properties worth more than RM2.5 billion were offered for sale at the event. Liew expects 15% of these to be sold within a month — a satisfactory figure considering the current market condition. He says the three-day exhibition at Sutera Mall drew over 18,000 visitors. The exhibitors included real estate agencies, property services firms and financial institutions such as Malayan Banking Bhd, which was the main sponsor of the event. Agents and negotiators observe that about 70% of potential buyers are looking for properties for their own use. 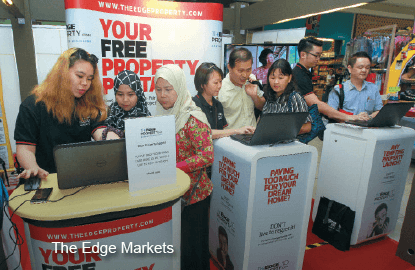 Kityan Koky, a 25-year-old real estate negotiator and team leader at Umegar Realty Sdn Bhd, says sought-after locations during the exhibition were Skudai, Senai and Kulai. “They are popular because of the new Iskandar Coastal Highway. It’s just 5 to 10 minutes to Johor Baru, no traffic jam,” she says. The most popular properties were 1-storey homes at Bukit Indah and Nusa Bestari due to their location and relative affordability, with prices ranging from RM390,000 to RM450,000. “It’s good for small families, and there are fewer 1-storey houses because not many developers build them,” says Koky. Meanwhile, Haze Liew, 30, a real estate negotiator from Walter Real Estate Agents, says her potential purchasers are looking for 1-storey and 2-storey gated-and-guarded terraced houses in Skudai and Nusajaya priced below RM500,000 as these places are up-and-coming areas. Three visitors to Maspex tell City & Country that they prefer landed gated-and-guarded homes in places they are familiar with. The area’s cleanliness, safety, accessibility and close proximity to public amenities are also factors that would affect their buying decision. Francis Chong, 64, says he is looking for a 1-storey gated-and-guarded terraced house priced below RM300,000 in Muar — his hometown — for his retirement. The retired accountant prefers to buy a home within a safe and clean neighbourhood that is within 1km of public amenities and shopping malls. He also plans to purchase a house in one to two years after he ascertains the impact of the Goods and Services Tax. Gan Chee Hau, 22, says he is “determined” to buy a 2-storey terraced house within a gated-and-guarded community in Bukit Indah, priced between RM300,000 and RM400,000. The electrical engineer prefers Bukit Indah because he currently lives and works in the area. Moreover, it is an established location and has shopping malls, eateries and amenities a short drive away. Ong, who is over 60, is an agricultural consultant and property investor. He is looking for a 2-storey terraced house priced below RM800,000 within a gated-and-guarded community for investment. He is targeting locations such as Austin Heights and Taman Adda Heights in Johor Baru. Among his requirements are public amenities within a 10km radius of the house. Sutera Mall, where Maspex was held, is located in Taman Sutera Utama, Skudai. Many who reside in the area work in Singapore. MIEA’s Liew feels that people like them are more likely to purchase properties now given the stronger Singapore dollar, coupled with the affordability of properties in Johor compared with those in Singapore. The Senai-Skudai area falls under Flagship E of Iskandar Malaysia, which sees airport services, engineering, electrical and electronics, and education as key economic activities. Iskandar Malaysia has been battered by bad press over the state of its real estate market, with concerns over the oversupply of high-rises and prices driven up by increasingly luxurious new launches and rising land cost. At a press conference on June 5, Iskandar Regional Development Authority CEO Datuk Ismail Ibrahim says despite the negative sentiment, the state has continued to experience rapid economic growth since 2006. 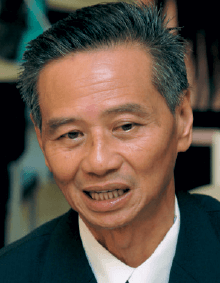 “The Iskandar region will be targeting a total of RM383 billion worth of committed investment by 2025, which will grow the property sector proportionately … I think we need to address some of the negative perception due to the fact that people do not fully understand that Iskandar Malaysia is not about being a property play. 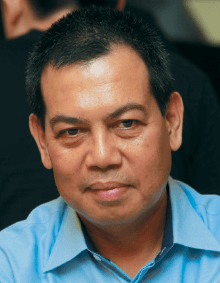 Iskandar Malaysia is about having balanced growth based on fundamental economic sectors and we have been able to demonstrate that through the nine sectors that we have seen experiencing growth,” he says. He adds that various sectors — including tourism, creative, logistics, healthcare and education — had generated over 500,000 jobs within the state to date, which in turn fuel demand for properties. theedgeproperty.com was one of the exhibitors at the event. The new one-stop property portal by The Edge Media Group features news, listings and a full range of analytical tools, which include indicative valuations, past transactions, rental rates, trends, hot spots and new project launches. Its booth drew many property agents and negotiators who signed up to list their properties as well as to use the free and exclusive agent tools on the portal. Many had the opportunity to experience the powerful new tools at the exhibition. Visitors also received complimentary copies of The Edge Property, a new pullout that comes out every Friday with The Edge Financial Daily that complements theedgeproperty.com. Singaporean billionaire entrepreneur and Valencia CF football club owner Peter Lim had recently taken up a 20% stake in the new portal — launched on May 7. The next Maspex will be held in Penang in August and then in Kota Kinabalu in October.